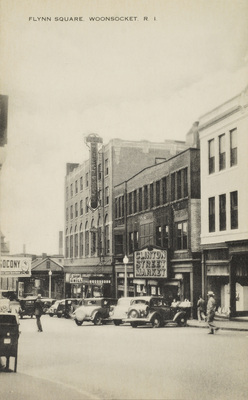 "Flynn Square, Woonsocket, R.I." by Freeman Art Company, Boston, Mass. Freeman Art Company, Boston, Mass. Freeman Art Company, Boston, Mass., "Flynn Square, Woonsocket, R.I." (1915). Rhode Island Postcards. 267.